Kenya is home to several stunning national parks and reserves, run by the Kenya Wildlife Service (KWC), including Masai Mara National Reserve, Amboseli National Park, Tsavo East and Tsavo West National Parks, Lake Nakuru National Park, Aberdare National Park, Mt. 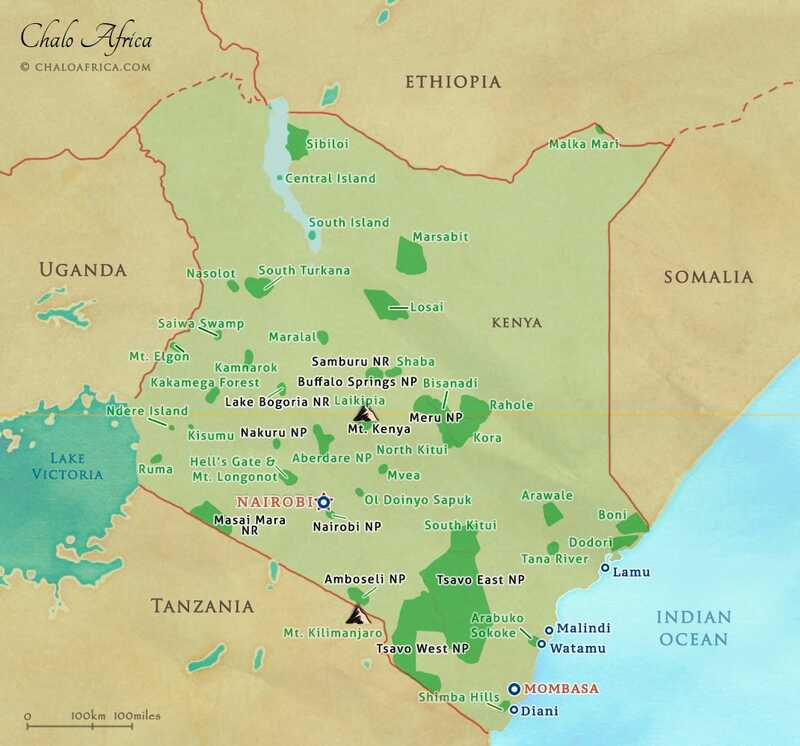 Kenya National Park, and several others. In addition to these, there are several private conservancies adjacent to national parks, which have been leased by camps from local tribes and have become thriving buffer zones for wildlife. These includes Olare Orok (Motorogi) Conservancy, Mara North Conservancy, Naboisho Conservancy, Ol Kinyei Conservancy, all adjacent to the Masai Mara Game Reserve. There are several other conservancies across the country such as Ol Pejeta Conservancy and Selenkay Conservancy. Another important area for conservation is Laikipia, where old ranches have been converted into conservation projections.